Oz Racing Leggera HLT has a light, high performance design with optimised weight/structural strength ratio for enhanced car performance and handling. Oz Racing Leggera HLT has a light, high performance design with optimised weight/structural strength ratio for enhanced car performance and handling. The Leggera HLT is the newest entry in the I-TECH wheel family, with side cut, under cut and HLT technologies being used. The Leggera HLT is designed with an extended hump for run flat tires, as well as a concave style, particularly for the 19” and 20”, which makes for a very aggressive car. 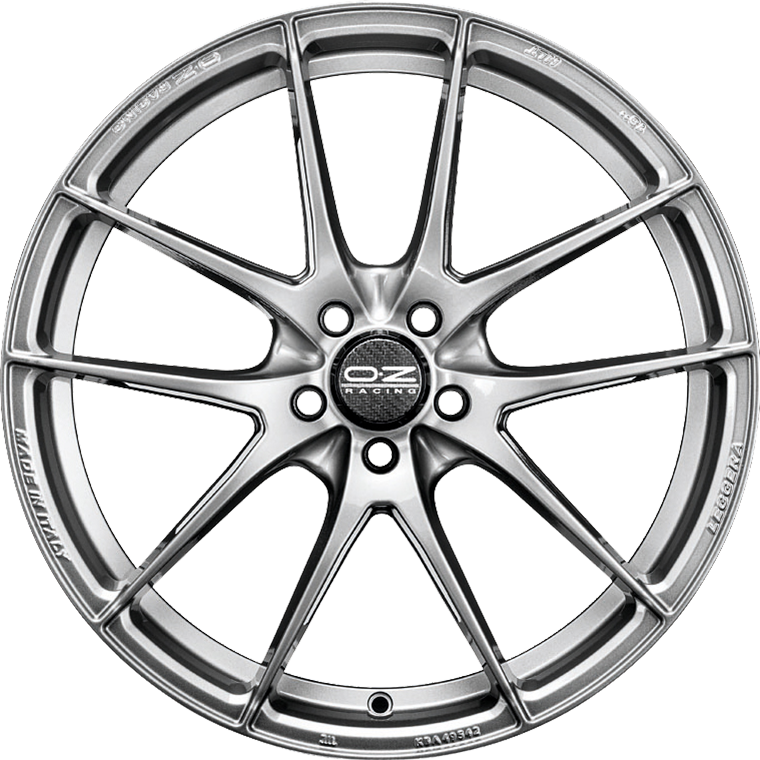 The Leggera HLT wheel is available in the 17” to 20” diameters and grigio corsa bright finishing. Like all the OZ wheels, it is TÜV certified.